Here at easyoga, we pride ourselves on listening to and working with the yoga community. To help facilitate the connection, we have a small, but growing, team of easyoga ambassadors. Made up of teachers and other professional Yogis and Yoginis from around the world, our ambassdors champion the easyoga brand while giving us expert feedback on our clothing and equipment, to make sure that our clothing and equipment stay at the cutting edge of design. Janet is one of the first Mindfulness Yoga teachers in Hong Kong. Based in Hong Kong, Janet teaches workshops, retreats, and teacher trainings locally and internationally. Janet has assisted Baron Baptiste and Paul Grilley during their teacher trainings and taught during retreat with Thich Nhat Hanh. 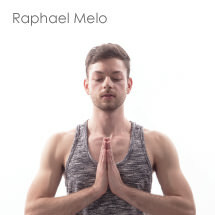 Raphael Melo, originally from Brazil, is an international Yoga teacher. Currently based in Shanghai, Raphael teaches classes, workshops, immersions and retreats mainly in Asia and South America; a blend of revitalizing flow and correct alignment, watered with sense of humor and love. Sissy Gonzalez was influenced significantly by the guru of Ying Yoga, Paul Grilley and found her way on the path of the Yin Yoga practice. Furthermore, she got involved in Aerial Yoga, developed a her own Aerial Yoga teaching technique, and founded Yogaéreo México (Aerial Yoga Mexico) . 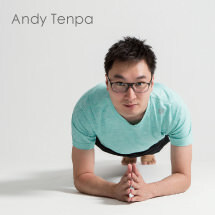 Andy is a duo-lineage holder (Jivamukti & Universal Yoga) for two of the most influential yoga system that is available to modern day yoga practitioners. As a practicing Buddhist, Andy has intense desire to serve all devotees that tread the path toward enlightenment. Unique teaching style combines physical & asana together with mindful-awareness & compassion for all beings. YaYa is a duo-lineage holder (Kundalini & Universal Yoga) for two of the most influential yoga system that is available to modern day yoga practitioners. After many years practice, YaYa realizes that Yoga is not only about physical practice but also concerning an exploration of the truth of identity. YaYa keens to promote animal rights, vegetarianism, ethical and environmental studies, helping students understand the core values of yoga: Inspiration and Liberation. Sonia (JuMin) realizes that yoga creates a rhythm and “breathing” that permeates her life. In teaching, she emphasizes the unification of mind and body, and strives to inspire the student's hearts. The fluidity of her classes allow students to move into deep breathing, thereby continuously circulating energy. Sonia mainly focuses on Iyengar yoga’s body alignment and injury prevention now. Her deep knowledge comes through in her chanting, her cues and her gentle and frequent adjustments to support each student’s body awareness. Carrie has been teaching yoga, philosophy and meditation over 6 years. She traveled extensively throughout Hong Kong, Taiwan, China, India and Australia and also hosted many charity workshops, individual classes and advanced trainings there. As a well-known teacher of Universal® Yoga, she keeps devoting her passions to the world and promotes the idea that yoga is a state of meditation that brings us to see ourselves; to see all sentient beings; to see the Universe, and we finally see who we are!